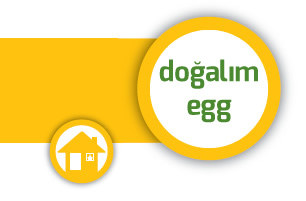 Dogalim Egg Dogalim is the egg of hens that fed with the freshest and most natural forages. We obtain our forages from the green plains of Elazığ and neighboring cities and give them to our hens without adding any additives harmful to the environment and human health. This difference of our forages provides Dogalim egg with naturalness and flavor that distinguishes it from other eggs. If you want to have a healthy and natural life for you and your family, consume Doğalım egg with real pleasure. We hope that your taste of life remains good.